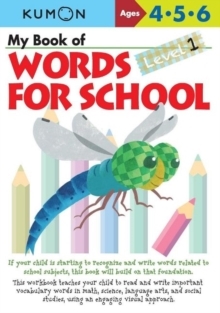 Word Power for All School Subjects. Help your child harness the power of vocabulary in math, science, social studies, and language arts. These new additions to our verbal skills line teach your child to read and write important vocabulary for all major subjects, using an engaging visual approach. Learning words related to school subjects is an essential step toward college and career readiness, according to state and national standards.